Report: Benson and Payton In NYC This Weekend – Meeting with Goodell Next? 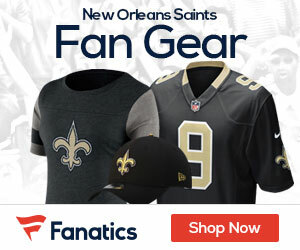 WVUE-8 reported Sunday night that Saints owner Tom Benson and Coach Sean Payton were spotted in Manhattan over the weekend, raising speculation the pair may be in New York to meet with NFL officials regarding the alleged “pay for performance” scheme the league says New Orleans employed from 2009 to 2011. Neither Saints officials nor the league responded Sunday night to queries about the possible meeting. WVUE is owned by Benson. It remains unclear when those penalties might be imposed, although WVUE’s report raises the possibility that was a topic Benson, Payton and Goodell’s office may be discussing. The St. Louis Post-Dispatch reported Sunday that Rams defensive coordinator Gregg Williams, whom the league claims orchestrated the “pay for performance” approach when he held the same job in New Orleans, would learn of his punishment this week. If the reports are correct, it may mean the NFL has streamlined its process. On March 2nd Goodell said disciplinary action would not be taken until the NFL met with the players’ union and individual player leaders. Both the union and Saints quarterback Drew Brees, a union executive and the unquestioned face of the franchise, have indicated they have not yet conferred with league investigators. In addition, Brees and the union have asked the public and Saints fans to reserve judgment until an independent investigation the NFLPA vowed to launch last week is complete.